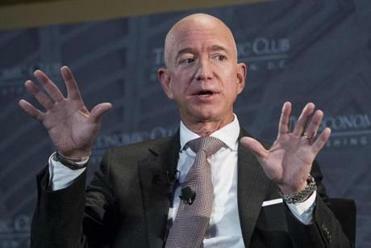 American Media Inc. says in a statement issued Friday it ‘‘acted lawfully’’ while reporting a story that included text message exchanges between Amazon CEO Jeff Bezos and his mistress. Earlier Friday, AMI said it ‘‘acted lawfully’’ while reporting the story and that it engaged in ‘‘good faith negotiations’’ with Bezos. The company has admitted in the past that it engaged in what’s known as ‘‘catch-and-kill’’ practices to help Trump become president. Trump has been highly critical of Bezos and the Post’s coverage of the White House. Bezos’ personal investigators, led by his longtime security consultant, Gavin de Becker, concluded that Bezos’ phone wasn’t hacked. Instead, they've been focusing on Sanchez’s brother, according to a person familiar with the matter. Several days ago, someone at AMI told Bezos’ team that the company’s CEO, David Pecker, was ‘‘apoplectic’’ about the investigation, Bezos said. AMI later approached Bezos’ representatives with an offer. ‘‘They said they had more of my text messages and photos that they would publish if we didn’t stop our investigation,’’ Bezos wrote. Bezos wrote that this week, the tabloid’s editor, Dylan Howard, emailed an attorney for Bezos’ longtime security consultant to describe photos the Enquirer ‘‘obtained during our newsgathering.’’ The photos include a ‘‘below the belt selfie’’ of Bezos, photos of him in tight boxer briefs and wearing only a towel, and several revealing photos of Sanchez, according to the emails Bezos released. It reported that Bezos sent ‘‘sleazy text messages and gushing love notes’’ to Sanchez, months before Bezos announced he was splitting up with his wife, MacKenzie. The story carries the bylines of Howard and two reporters. AMI’s relationship with Trump has gotten the company into hot water in the past. It admitted to ‘‘catch-and-kill’’ practices as part of a deal with federal prosecutors, who agreed not to pursue charges against the company. It is a federal crime to threaten to injure someone’s reputation in exchange for money or a ‘‘thing of value,’’ though federal courts haven’t made it directly clear whether a public statement, like the one demanded by AMI, could be considered something of value.